Beet Plant Height: Do Beets Get Big? 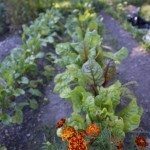 For those gardeners with smaller garden plots or who wish to container garden, the conundrum is what veggies to plant to make the most of this limited space. Squash can literally take over even when it’s grown vertically, as can many tomato varieties. Cauliflower and broccoli are garden hogs too. How about root veggies like beets? How tall do beet plants grow? Beets are cool season veggies grown for both their roots and the tender young tops. They thrive in the cooler temperatures of spring and fall, and are perfect for not only large gardens but for those with smaller spaces since they require little room – with a spread of only 2-3 inches up to 12 inches. Beets do not get big, as the roots only get about 1-3 inches across. How Tall Do Beet Plants Grow? Beet plants grow up to two feet in height. However, if you want to harvest the greens, they are best when they are small and tender, from 2-3 inches to about 4-5 inches. Be sure to leave some of the foliage so the roots will continue to grow. You can pretty much retard beet plant height by snipping the leaves back. Beet greens don’t have a long shelf life either, so it’s best to eat them that day or 1-2 days thereafter. There are many varieties of beet that come in hues from ruby red to white to gold. 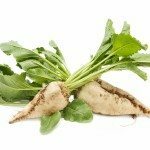 Golden and white beets have some advantages over red varieties. They don’t bleed and are perfect married with other roasted vegetables. They also tend to be sweeter than the red cultivars. That isn’t to say that red beets are a lesser variety of beets. Almost all beets contain 5-8% sugar with some of the newer hybrids far exceeding this percentage with around 12-14% sugar. While I mentioned above that beets do not get big, there are some forage beets, those that are fed to livestock, which can weigh up to 20 pounds. Chances are good that you are growing beets for yourself in this instance and won’t be growing such gargantuan roots. Read the seed packets of other veggies though to be certain that they will not overtake a small garden area.